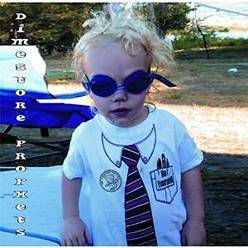 Dimestore Prophets (not to be confused with "Dime Store Prophets," a Christian rock band that dissolved in the late '90s and known for a song called "Hitler's Girlfriend") bills itself as a three-piece groove, rock, and reggae band -- they may be Christians, too, for all I know! What I do know is they hail from central Washington State and have been together since 2009. According to their bio, they play "Feel Good Music." Their musical influences include Bob Marley, Sublime, the Clash, and the Dirty Heads. The title of their latest EP is Be Yourself -- taken from the first track on the CD, which one review called "the embodiment of feel good reggae pop, groove music." I disagree. It is certainly "feel good" music, but there's no way it can be classified as "reggae pop, groove music." To me, it sounds more like beefed-up west coast soft rock, like Bob Marley covering the Eagles or Mitch Ryder and the Detroit Wheels covering Poco. It's a bright, clean composition and it's optimistic: mental health music. "Draw for Love" is the fifth track and is definitely channeling Poco or Dan Fogelberg, which is meant as a compliment. The second track on the CD, called "Hey Darlin'," strikes a harsher note. The song lacks direction, as if they couldn't quite decide whether to make it reggae or dubstep or soft rock. The result is an abortive mish-mash that grates musically as well as thematically. The rest of the tracks are excellent stuff: reggae with personality. The vocals are happy and peppy; the instrumentation crackles with energy and a light funkiness that sets it apart. Too often, post-Marley reggae struggles with vapid overcompensation because the musicians want to sound just like Bob Marley, which leads to a death spiral from which there is no recovery. Happily, the Dimestore Prophets avoid the swirling vortex of mimicry, choosing instead to pursue their own west coast version of reggae, one uniquely their own. The end result is listeners don't have to cope with syrupy attempts at Marley emulation, which is simply too exhausting to deal with. Members of the Dimestore Prophets include Ray Glover, who plays guitar and sings, John Wilson on drums, and Eric Groff on bass. And there's a distinct party vibe to their musicianship. Obviously, they enjoy what they're doing and do it well. If this energy carries over to their live shows, then a trip to the Pacific Northwest would be well-advised. There's much to like about Be Yourself. There's funkadelic reggae that's benign enough for the pop crowd, but it's multifaceted enough for the reggae aficionados.